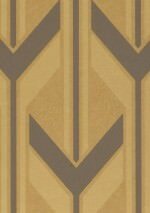 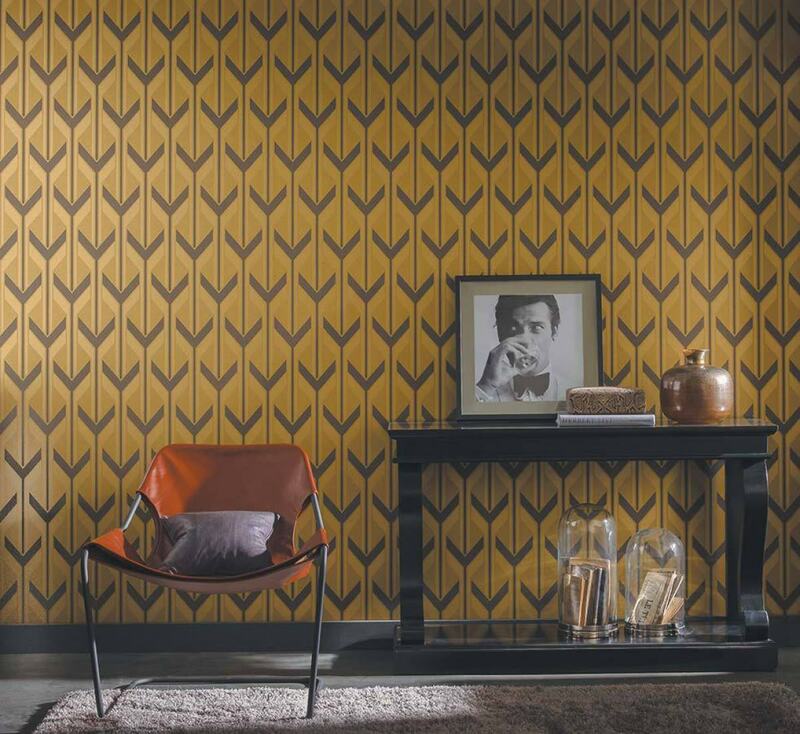 This non-woven wallpaper in a striking ochre yellow is characterised by the retro design depicting a stylised "Y". 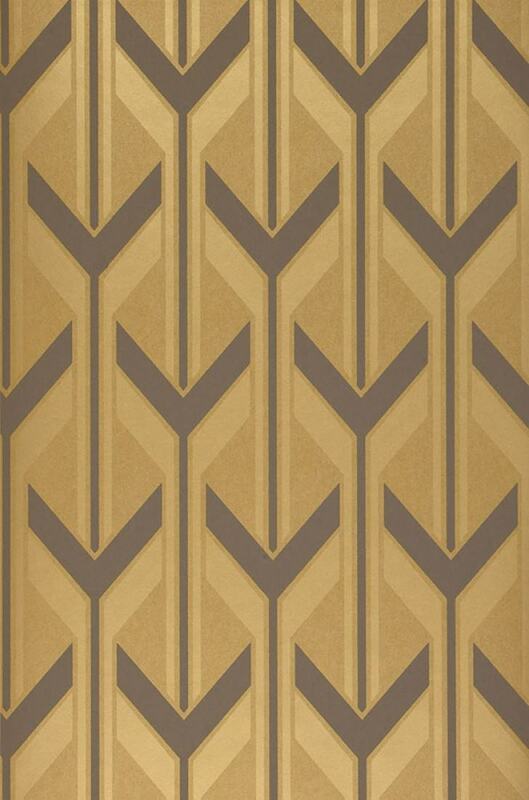 The arrangement of the diamond shapes creates a 3D effect. The pattern has a slight golden and grey-brown sheen to it, making it stand out from the matt background.